Home / Advertising / Branding / Business Updates / Movers-Shakers / Piyush Pandey on Creativity at The ITCH Summit. 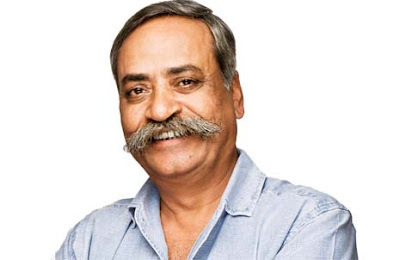 Piyush pandey is one of the most illustrious names in Indian advertising, and his story shows that creativity truly has no boundaries. Pandey Recently graced the Itch Summit Hosted by Prahlad Kakar School of Branding and Entrepreneurship at Sydenham College and showcased his top critically acclaimed campaigns such as Fevicol, SBI Insurance and Rajasthan tourism and few more. Getting the session off the ground, Pandey, true to style, stated advertising is all about having fun. "Advertising is not brain surgery, despite reams and reams having been written about it," he said. "This is a common sense business, and also one where you try not to give too much gyaan. The best advertising doesn't give gyaan, but has fun while telling you something about the product being advertised. Similarly, I won't give any gyaan, but try and have fun by making this a fun session." Explaining why he had chosen to focus on Indian creativity, because of the nature of the country, is sometimes different in its expression from other countries. That the richness of this raw creativity has been recognised is likely to motivate a lot of young people to believe in India. Pandey concluded the Session by Quoting “The Musk is in your Stomach find it Rock it and Fly”.